Consumers are surrounded by advertisements and subliminal messages throughout each day. However, in competitive environments, it’s very difficult for a company to build brand recognition and trust with potential buyers. 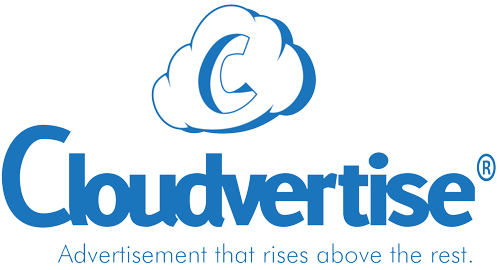 Cloudvertise offers business owners a unique marketing method that joyfully captures a consumer’s attention versus the creation of undesirable ads that are largely ignored. Unlike direct mail, where a consumer opens a single piece of mail from an advertiser, aerial advertising may be used to generate a massive amount of exposure. Whether a company wants to launch a targeted marketing campaign via a sporting event, a trade show or a cultural festival, aerial advertising offers a serious opportunity to instantly gain brand recognition. For instance, when a floating cloud features the Mercedes logo at a packed outdoor event, people will notice and talk about the high-flying image. The experiences dazzles event goers and their kids. At a time where the average consumer’s attention span is around eight seconds, advertisers need to make a fast impression that instantly resonates with viewers. However, it’s challenging to compete with other businesses who are using the same advertising mediums. While floating clouds can hover in the sky for more than an hour, getting a consumer to focus on a company’s logo or images for several minutes certain beats eight seconds of exposure from other marketing methods. In nearly every niche, a new business is opened everyday. When trying to get the word out to prospective buyers, it becomes apparent that other businesses are after the same customers. After spending thousands of dollars on radio ads, television ads, printed materials and Internet ads, business owners who fail to hit their mark are often unsure of the best way to develop brand awareness. For years, marketers have focused on identifying a consumer’s pain points. Although, it makes sense to connect with consumers in a fun and an engaging atmosphere. As a unique marketing method, Floating Clouds provide a less intrusive way to engage with consumers in an atmosphere that is much more relaxed. Trying an aerial promotion with an experienced marketing team is recommended for instant brand recognition. We can set up our Flying Cloud machine to produce corporate logos, shapes, characters and a variety of images. Contact Cloudvertise today to discuss affordable marketing strategies that will rise above the competition.